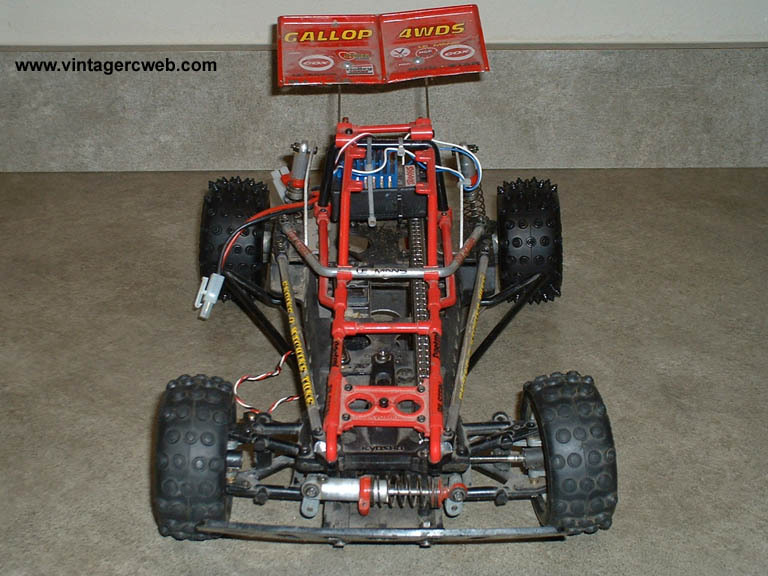 The Kyosho Gallop I ended up with has a much different story than any of my other buggies and nothing to do with eBay. I was at my local hobby shop looking for bearings when one of the guys brought out from the back a very sorry looking Kyosho Gallop. The owner just wanted it to run so he asked them to see what they could do. I thought what a shame, that guy will just run it into the ground and toss it out like some broken toy. 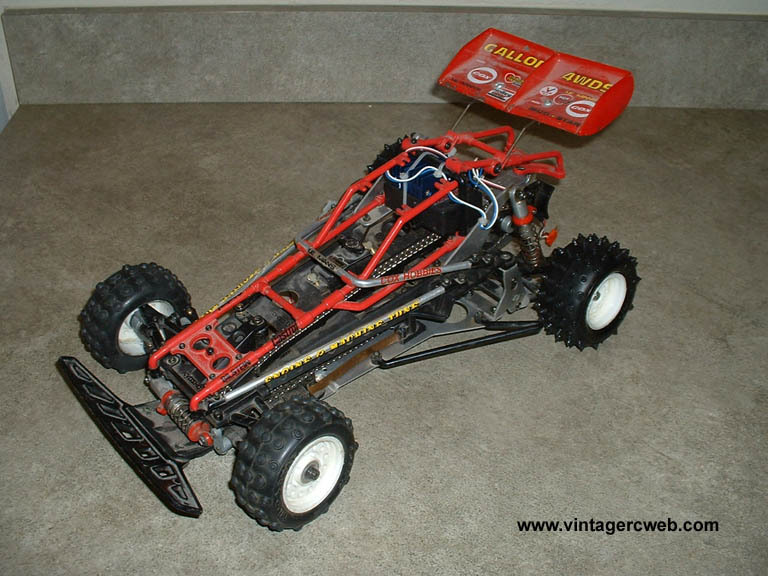 About a month later the guys at the hobby shop mentioned that the owner never came back to pay for the work they did to the buggy. I asked what they were going to do with it. 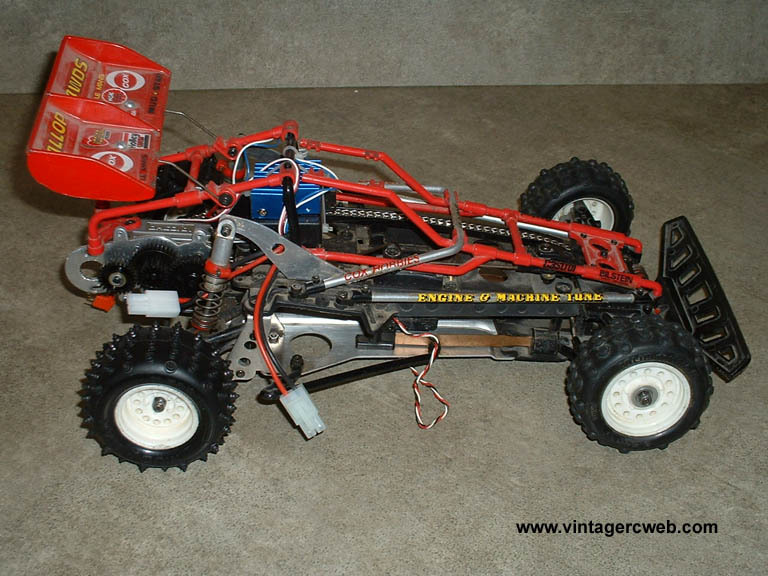 They wanted to sell it just to cover the cost of new parts, a servo and esc. Needless to say I almost broke my arm going for my plastic. I have started the restoration on this sad but fairly complete Gallop. After such a long break of not doing any restoration work, it took a while to get back into the groove. I did forget how long the disassembly and cleaning process takes. The fact that this buggy has what seems to be and endless number of parts also added to the hours of scrubbing inspecting and polishing. The Gallop does have a significant difference from it's older sister the Progress, that's the front wheel mounts. The Progress has a one way slip bearing to eliminate any binding that would occur when the front wheels turn at a different speed than the rear. 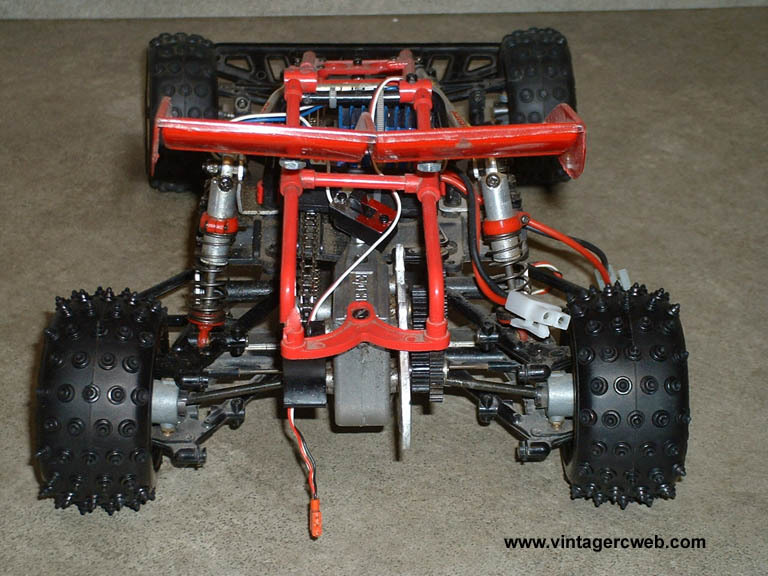 Apparently the Kyosho engineers found this to be overkill and changed the front wheel mounts to a traditional threaded one with no slip bearing.